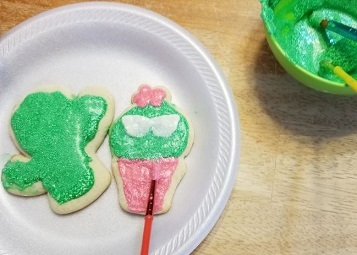 At CraftDirect, we've wanted to do a Sweet Sugarbelle cookie cutter project for quite some time, so I took the opportunity this Christmas break. 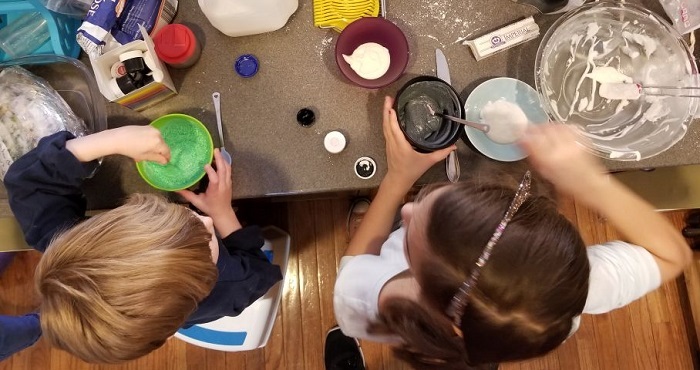 I visited my nieces (ages 13 and 9) and nephew (age 4) in Georgia where it was bitter cold and gray, the type of weather that is perfect for cookie baking. Everyone was happy to participate, and we all had fun. 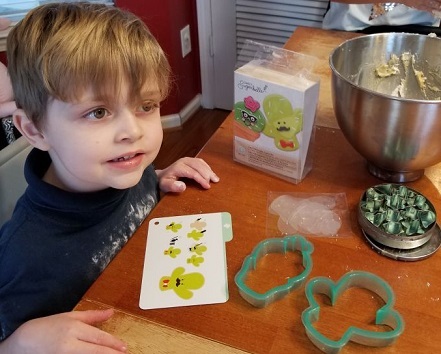 The great thing about Sweet Sugarbelle cookie cutters is their products make it easy to create intricate sugar cookie designs using stencils and other helpful accessories. And for step-by-step baking instructions, we suggest you read their blog post about it. Once your dough is ready, it's time to cut the shapes out with the cookie cutters. Rolling out the cookie dough was probably the highlight for the younger kids. They seemed to have a lot of fun with it, though this means it took twice as much time as it needed to. We had a saboteur on our hands who was destroying perfectly cut cookies so he could roll the dough out again. For a clean cut, it helps to put a little flour on the blade of the cookie cutter. 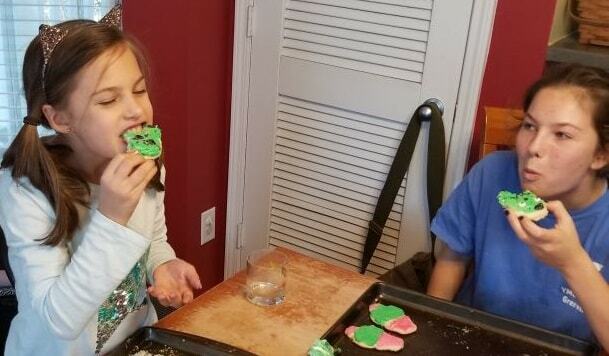 My sister has old, tiny cookie cutters that kept my nephew busy. They are great for making use of the last scraps of dough. I thought it'd be helpful if Sweet Sugarbelle released a mini set. I'll put that in their suggestion box. While the cookies are baking, you can make the frosting. It doesn't take long, and it's a great way to fill the time. We made four different colors: pink, green, white, and black. The Piping Bag Set comes with a #2 stainless steel tip, which is good for the small details, like the black and white. 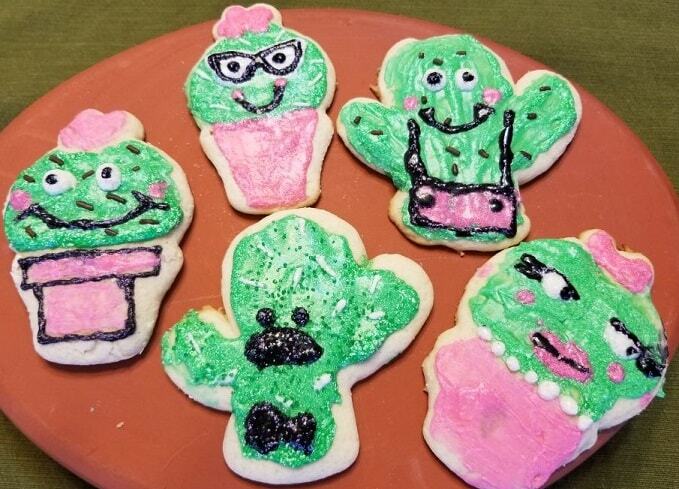 But with the pink and green, we found it easier to use paint brushes and spatulas. You can lay it on thicker with a spatula, and it saves you time. If you want to streamline the design process, then get the whole Basic Tool Set. You'll have all the best solutions for decorating. 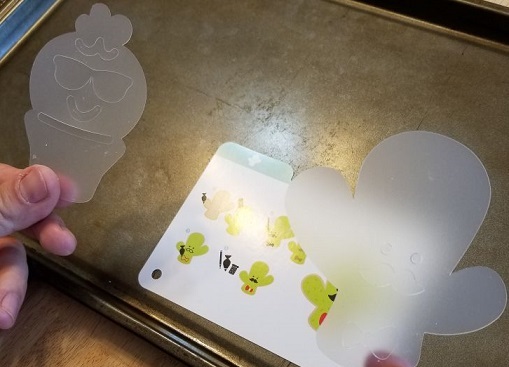 In every case, the green and pink went on first and then after those colors dried, we used the stencil to address the precise details. For the most part, my nieces decorated free-hand and did not follow the templates. My nephew made no attempts at decorating and frosted for taste and ate as he went. I think it all turned out great. If you're looking for a project to entertain kids of all ages, this is a great way to go. The kids were entertained for a couple of hours and then we had delicious treats to enjoy. The cookie cutter sets are affordable and produce delightful results. Please fire away with any questions in the comment section below.